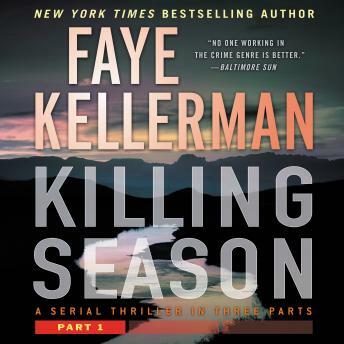 New York Times bestselling author Faye Kellerman delivers an electrifying crime novel of suspense as a young man’s obsessive investigation into his sister’s death draws him into the path of a sadistic serial killer. Part 1 of Killing Season centers around a teenaged boy, Ben Vicksburg, seeking retribution for his murdered sister. It is a crime novel, but it is also a story of friendship and family, a tale of a dedicated detective and an obsessed brother on a mission to bring a serial killer to justice.